What’s good about the Spada Staffy wax jacket? You have to love the looks of a jacket like this – spot on if you are riding a Ducati Scrambler, Yamaha XSR, Triumph Bonneville or similar. 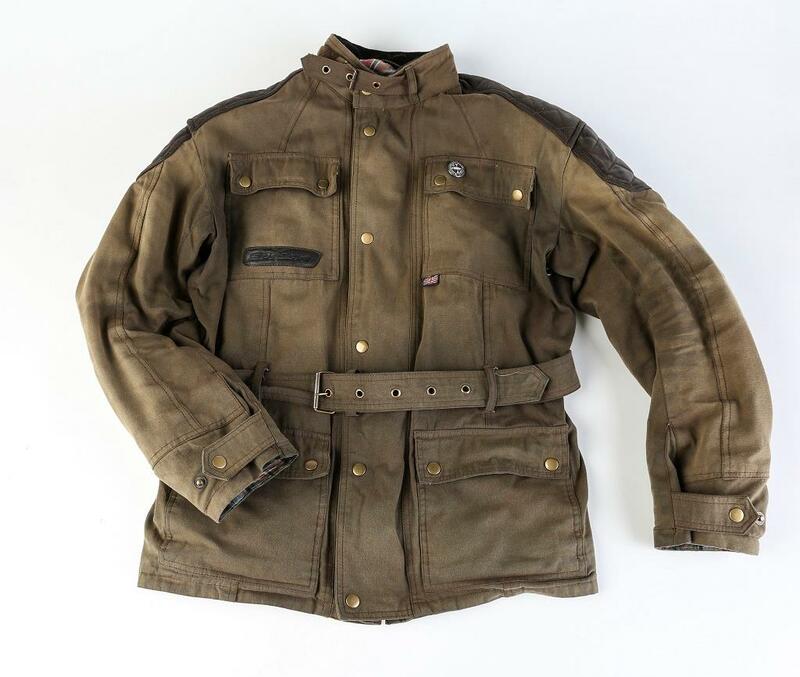 What you are getting is something that can fool the casual observer into thinking you are sporting a Barbour or Belstaff, but for a fraction of the price. It’s stood up to the test of time too, I have been using it for a just under year now and there are no real signs of wear – although I have lost one of the loops that secures the excess length on the belt. The jacket has also proved waterproof, has a decent number of pockets and includes CE-approved armour. There are vents under the arms but the material itself isn’t breathable. Filtering through heavy traffic during a ride through central London on my Scrambler last autumn I soon became uncomfortably warm and the jacket’s lining felt clammy rather than helping wick moisture away. As mentioned in my initial report, the buckle on the belt is a bit cut-price in looks and feel – but on the plus side it hasn’t worn out or broken.